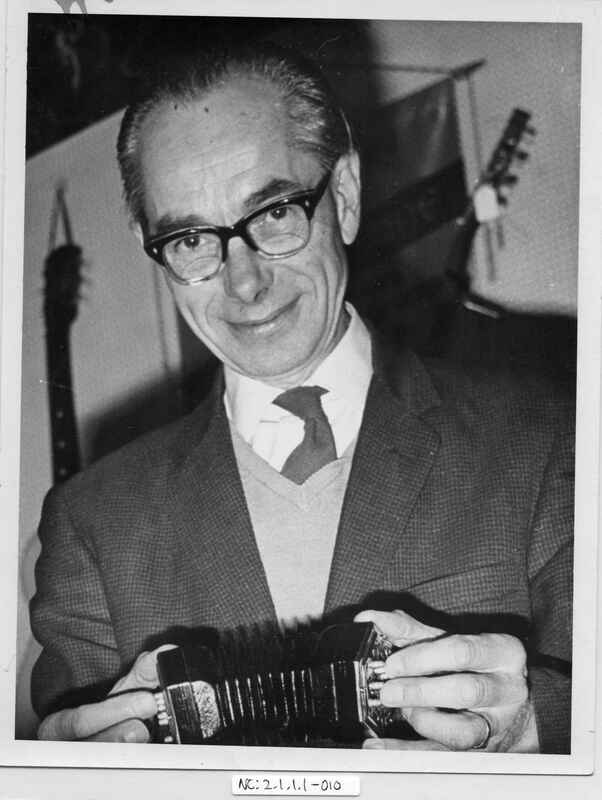 Full Description: A 1960-70 period photograph of Harry Minting, playing his Wheatstone miniature concertina in his music shop at West Wickham, Kent. 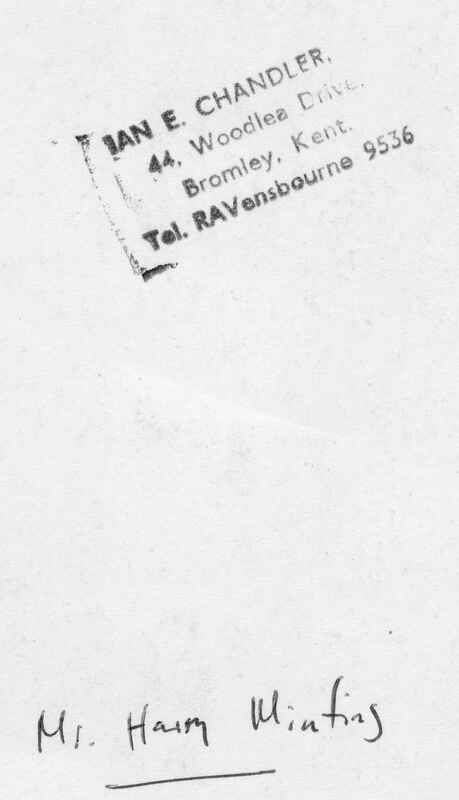 The Miniature has the serial number 35403. Photographer was Ian Chandler, Bromley, Kent, and this image was catalogued in the original Concertina Museum Collection (1990) as Item C634.